to attend a 90 minute Victim Impact Panel in person. 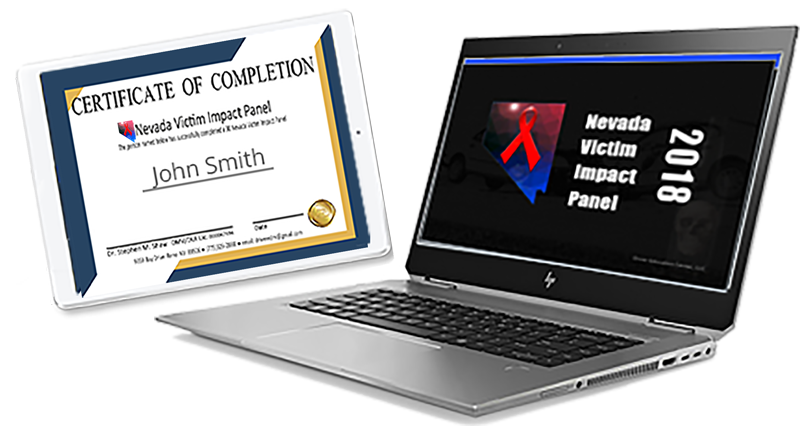 All Victim Impact Panels are designed to connect individuals to those family’s that have lost someone they loved because of a drunk driver. No one wakes up with the intention of killing someone after enjoying a few or even a couple of drinks. But it still happens 30 times each day, seven days a week. This 90-minute victim impact panel reaches directly into the lives of those connected to a drunk driving tragedy. It’s a front-row seat into the reality of drinking, driving, and loss. The impact of a DUI fatality crosses gender, age, race, and religion. The common thread of a DUI fatality is the pain everyone left behind shares. So hopefully the message you will take away from this course is to never to drink and drive or to make a decision to stop those impaired individuals that might make a painful or fatal decision. This online Victim Impact Panel is something all young adults should see before they receive their driver’s license.